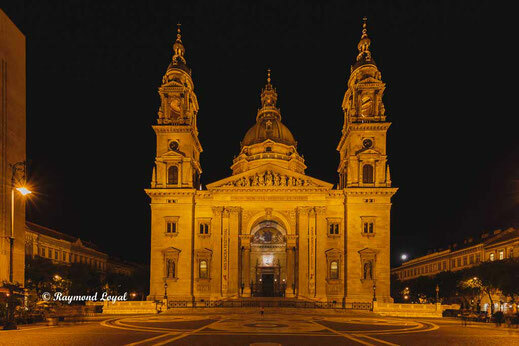 Welcome to the Budapest at night blog. 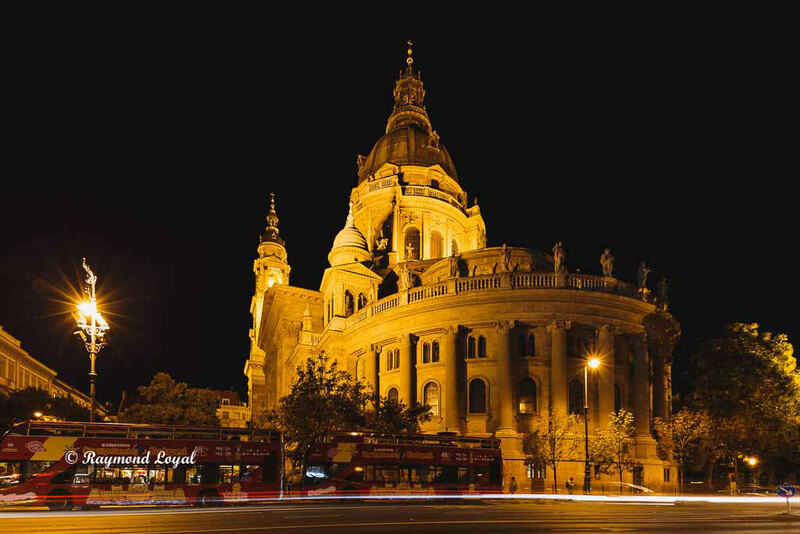 This is entirely about live in Budapest between sundown and night. 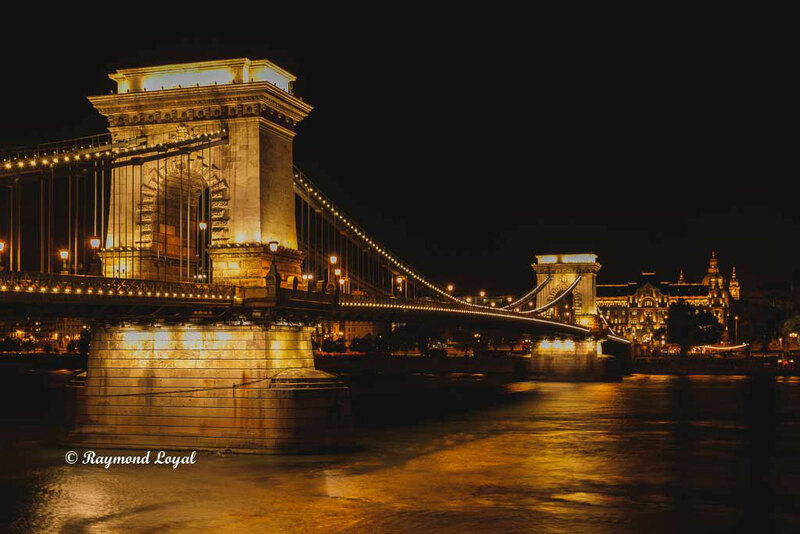 Above is the Chain Bridge, one of the landmarks at the centre of Budapest, crossing the river Danube. There is massive traffic crossing the bridge at all times, cars, busses, people. Most people carry photographic equipment and take pics of themselves being on holiday having a good time. Only few of them try and take more professional shots. 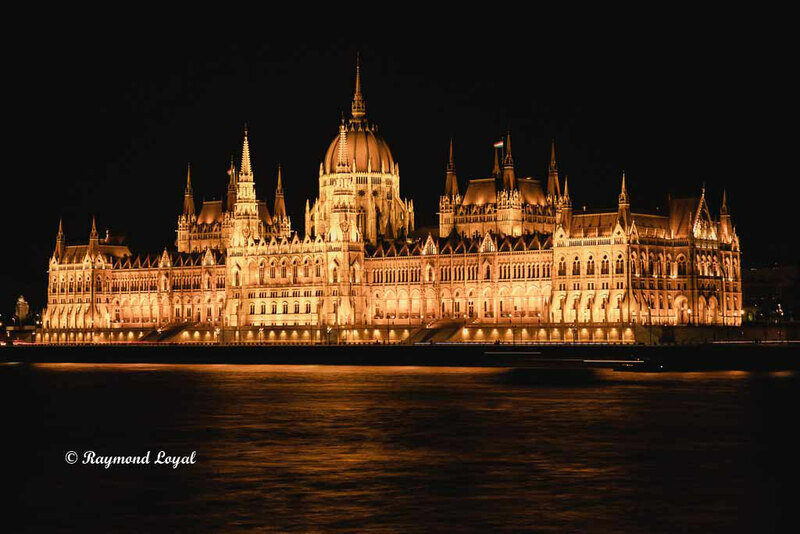 The architecture at Budapest is tremendous and they illuminate every important building during night. Great views and you actually feel like being in very special surroundings. 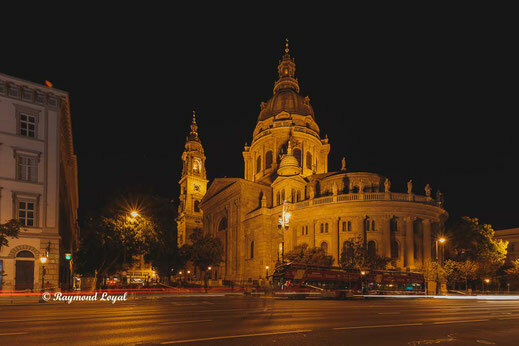 During our stay here we will continue extending the blog and add more pics to the blog. Feel free to leave your comments and suggestions regarding content and what you would like to see. 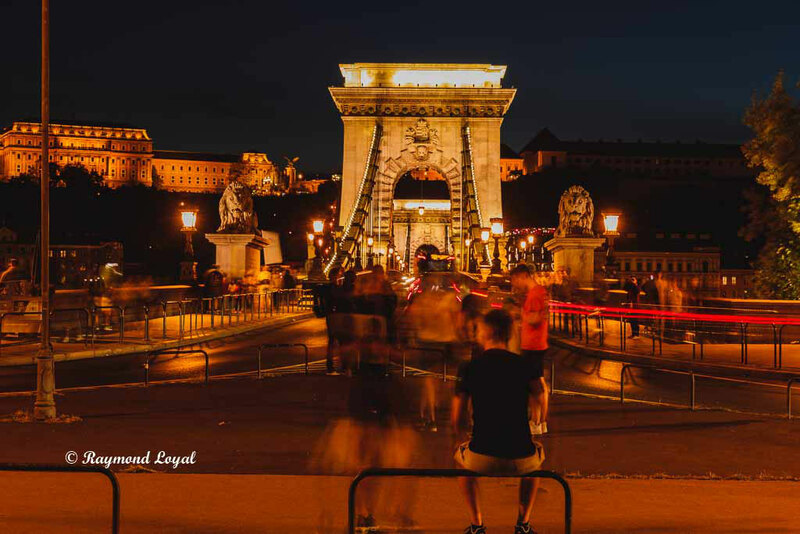 The Chain Bridge is a visitor magnet. People come all day long, even in the evening and at night to have a look at this bridge, takes some shots or make a video on their mobile or with a proper cam. You meet people from many nations here and this is a great experience. Similarities are unintended. We all know the London Eye. London needed something special. 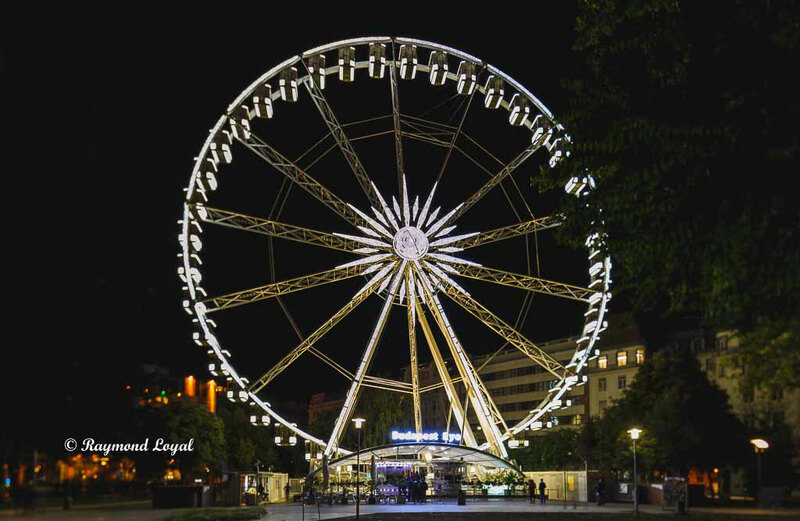 Come to Budapest they do have their own eye and this big wheel here is simply standard, they do not make a fuss about it and people have fun. A ride is affordable. 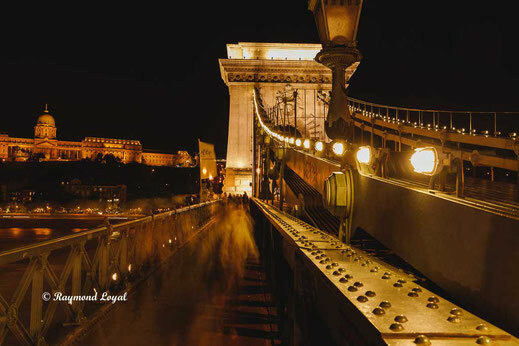 If you are around in Budapest go for a ride, and have look at the world from above. Isn't she a beauty? Of course. Tremendous view. Especially at night. Beautiful light installation, wonderful illuminated. It is simply a dream.